Self-taught artist, born in 1947 in Bourgoin in the Isère, where he made my first exhibitions at the Salon des Amis des Arts. 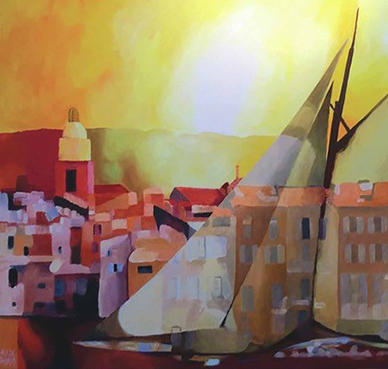 Independent artist since 1977, he moved to Lyon and works for advertising agencies. It also illustrates the fauna and flora pages of the LAROUSSE dictionary.